Wet weather work – It’s been a wet month, so line up any inside jobs you have, like greenhouse work, cleaning tools, preparing seeds, trays and pots, and anything you can think of that will save you some time next month. Sowing – Seeds to sow this month include summer bedding, lots of veg, and if the weather allows, direct sowing of Calendulas, Poppies and Nigella. Mowing – When the grass starts to get going with warmer temperatures, you will want to increase mowing to every one or two weeks. 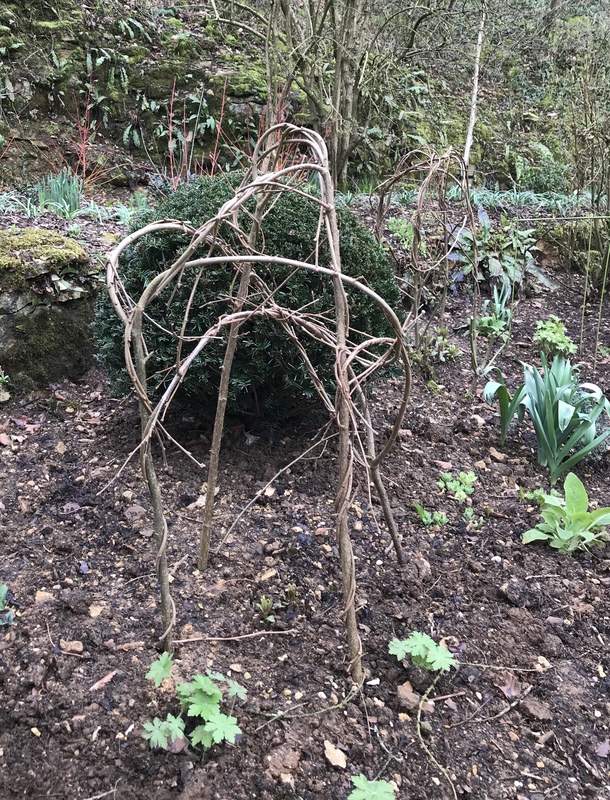 Staking – As herbaceous plants, like Delphiniums, Asters and Phlox, start to shoot, get stakes in to support them as they grow (rather than having to prop them up later).